Recipes for Breakfast, Lunch, Dinner, and Desserts! Every once in a while, restaurant patrons are offered a simple menu choice: “Would you like that with white or brown rice?” And all too often, the brown rice that appears on the plate, while healthful, is far from a culinary treat. But brown rice can be as tempting as it is beneficial. 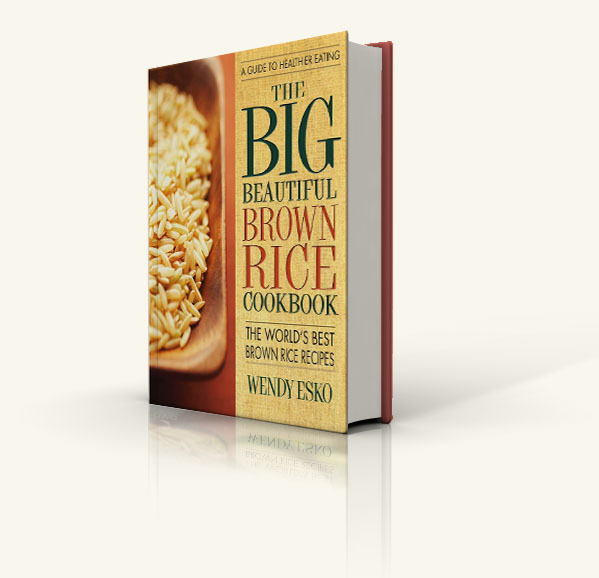 To prove the point, best-selling cookbook author Wendy Esko has put together a spectacular collection of her finest rice recipes in The Big Beautiful Brown Rice Cookbook. 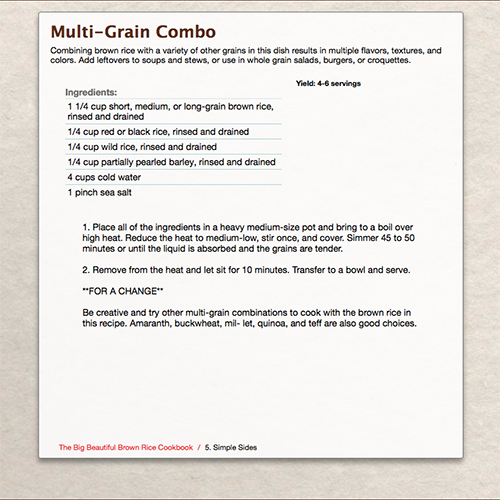 Wendy first shows you the many ways in which you can correctly cook brown rice—methods that bring out this food’s mild nutty flavor and enticingly robust texture. She then provides over one hundred easy-to-follow kitchen-tested recipes. As Wendy demonstrates, this wonderful food doesn’t have to be relegated to the side of the dish, but can be a culinary star. That’s why her collection includes dishes for breakfast, lunch, and dinner. And from porridges and waffles to paella and vegetable sushi, all are winners.